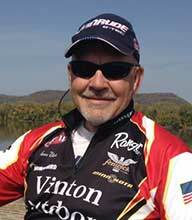 Glenn has been blessed with an accomplished career from early on as a professional walleye fisherman. Competing professionally in the FLW Walleye Tour and the Full Throttle Walleye Circuit. Glenn’s accomplishments and teaching strategies have not only taken him to the FLW Tour championship but he has carried with him co-anglers in the National Guard Tour. Committed to the men and women that serve our country, Glenn has taken his professional teaching and moral outlook as an ethical pro angler to the next level of commitment for those in the armed forces. He is honored to have been the host for these committed men and women fishing in the National Guard Tour events. Glenn’s techniques and accomplishments do not come without gratitude and recognition because of the opportunity to fish with his father from a very early age. Glenn’s mentorship in the community continues to enhance the lifelong experiences for all members in the community including children young and old. Glenn enjoys workshop presentations and sharing his knowledge of fishing the Mississippi River. In 2010, 2011 and 2012, Glenn was honored to have fished in 12 FLW National Guard Soldier Appreciation Tournaments where many of the guardsmen have caught either their first or their biggest Walleye. Glenn’s future goals include top ten finishes in all 4 FLW and all 4 Full Throttle events. Qualifying for the FLW Walleye Tour Championship, promoting, and supporting the National Guard. Maintaining a highly professional relationship with the media and promoting ethical fishing practices through articles and seminars. Endorsing current sponsor relationship and to increase future local and national sponsorship. Continue to enjoy hunting and fishing with family and friends and teaching my grandchildren how to fish and to enjoy the great outdoors.